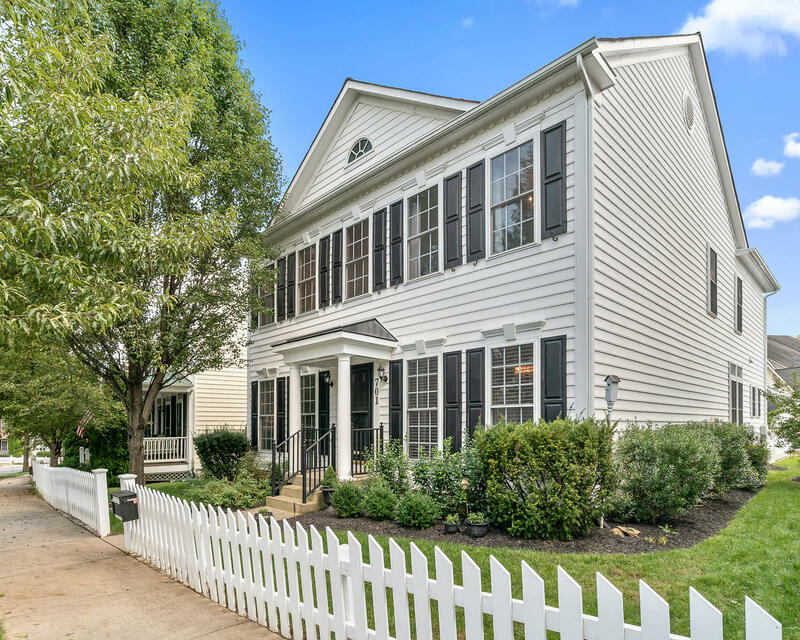 Conveniently located within the Lakelands community, sits this stunning 4BR, 3.5BA Ryan “Michener” model that boasts unparalleled upgrades & updates throughout. Lustrous hardwood floors encompass the entire main level of the home to include the living room and the dining room, which is distinguished by its tray ceiling and decorative wainscoting & moldings. The centrally located kitchen showcases abundant cabinetry with glass facades, convenient slide-out shelving, and under cabinet lighting, paired with coordinating granite countertops, linear glass & stone backsplash & LG® stainless steel appliance package with a 5-burner gas stove. This kitchen also includes a butcher block island, a separate butler’s pantry, and a breakfast bar for casual seating as well as an adjacent breakfast room. Completing this level is the family room that is home to an amazing floor-to-ceiling stacked stone gas fireplace. Also included in a convenient powder room and large laundry room with convenient cabinetry & shelving. Enter through double doors to the upper-level master suite which is highlighted by dual walk-in closets, complete with built-in shelving, drawers & double-hung racks. The remodeled spa-like bath features luxurious upgrades including a marbled vanity with dual vessel sinks, relaxing garden tub, glass stall shower & private water closet. This upper level is also home to three generously proportioned bedrooms and an awesome renovated full bathroom with wood-like tile floors and glass walk-in shower. The lower level of the home is super versatile to include a recreation room, game room, & office area. It also has additional finished space for a home gym with French doors and an updated full bath complete with a jetted tub that’s perfect for relaxing after a workout. The impressive exterior of the home has everything you need for your own private backyard oasis. Enjoy the stacked stone gas grilling station, perfect for dining al fresco on the slate paver patio, or unwind after a long day in your private hot tub.